Kennedy describes how the Croix de Feu promised to restore patriotic unity to France but instead demonized the organization's enemies as unfit to be French; its successor, the Parti Social Fran ais, professed a respect for democracy but actually promoted an authoritarian nationalist vision. Previous studies have focused on whether the Croix de Feu and the Parti Social Fran ais should be considered fascist. 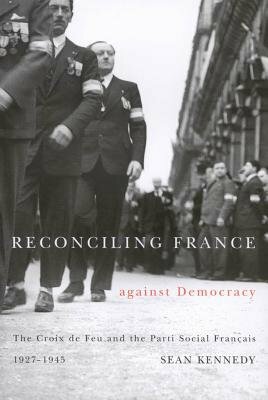 Reconciling France against Democracy assesses them from a variety of perspectives and considers the extent to which they foreshadowed Jean-Marie Le Pen's Front National.